The Crystal Ship Diary Day 1 - Welcome to Ostend! It was a breezy yet sunny first day of the fourth edition of The Crystal Ship in Ostend. 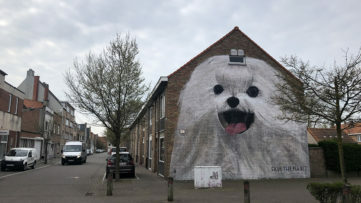 The street art festival left its mark all over this beautiful coastal town in Belgium – and I mean that quite literally, since one can see over 50 permanent artworks on its streets. In 2019 it will get at least 14 more, as that many artists has been invited to participate in the first ever edition to have a theme and a curator. Having arrived late in the afternoon, I only got to see three artists at work and one finished installation. 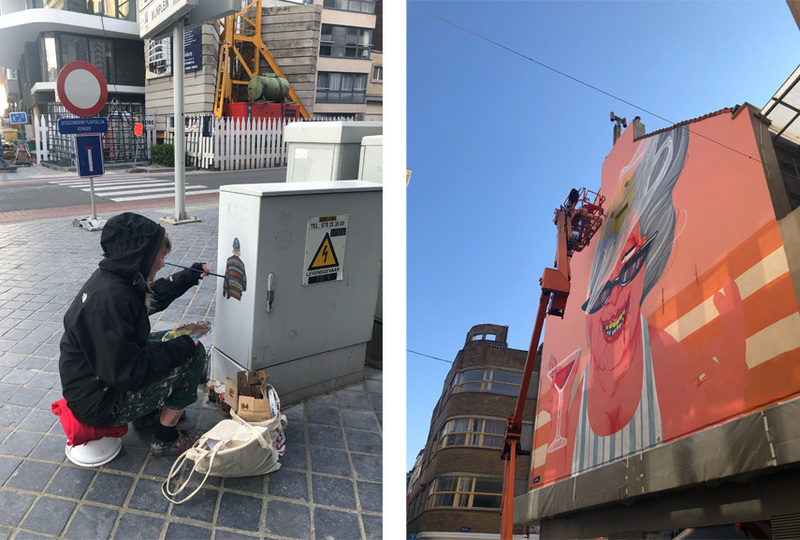 Ostend isn’t as small a town as it might appear, so a bike ride is what awaits me tomorrow as I go to check out other marvelous murals being made, or already made this year, but for now let’s recap the opening day. Once you get your very elaborate map of The Crystal Ship murals in Ostend, old and new alike, it is time to go on an adventure. For me, the first in line was Jaune, who by his own admission practically lives in this town and can be considered as local as they come. His is a long wall filled with trademark characters, although when I got there, there were only “common people”, as the artist called it – no sign of his fluorescent-vested garbage men. Those will come on Friday, it would seem. 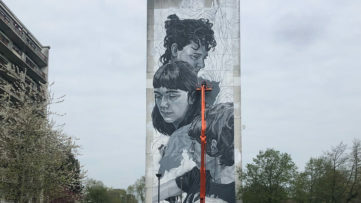 The second stop was a big mural by Marina Capdevila, an artist from Spain and one of many ladies taking part in this festival(!) whose portraiture is quite specific, as a result of an inspiration coming from her grandmother. Her message is that old age can be reached with full vitality, and the woman depicted in the Oostende painting certainly proves that. Moving on, I find myself a message in a bottle, sent by one Tom Herck. 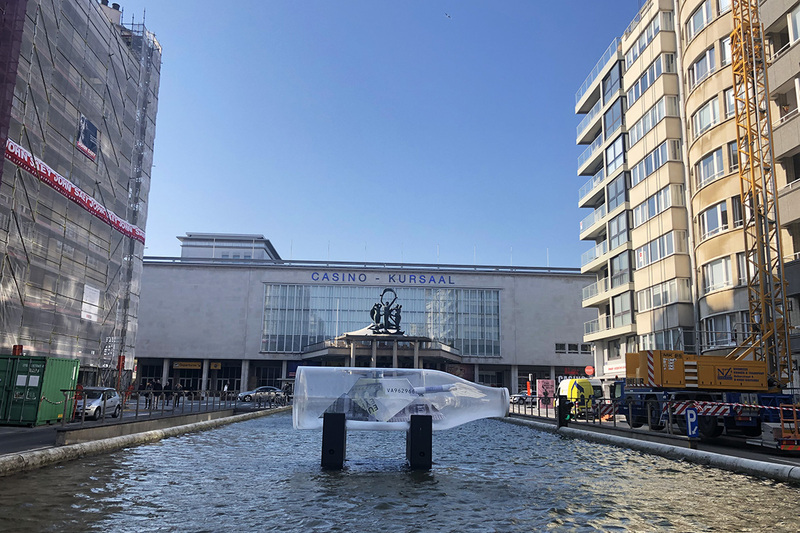 No stranger to public displays of affection for many controversial things, the Belgian artist made a warship origami made of a 5-euro banknote, put it in a big bottle, and placed it in the fountain outside the Casino Kursaal. Many references, many questions raised! Last but not least was Helen Bur, painting yet another of her characters on yet another architectural element in the city. The artist has been in town for a few days, knocking on people’s doors and asking to take their picture on which she would then base her paintings. 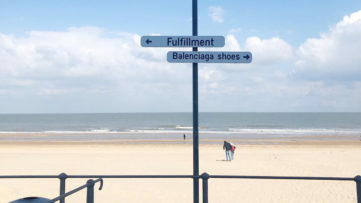 So another quest becomes: finding all her works around Ostend! 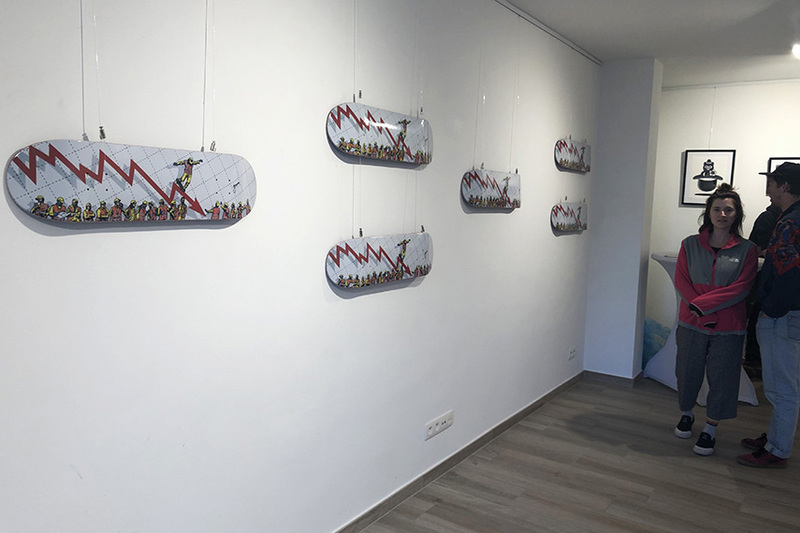 At the expo18 space, there was also an opening of an exhibition, featuring Jaune’s limited skateboard decks, as well as prints made by The Crystal Ship artists from this and previous editions. 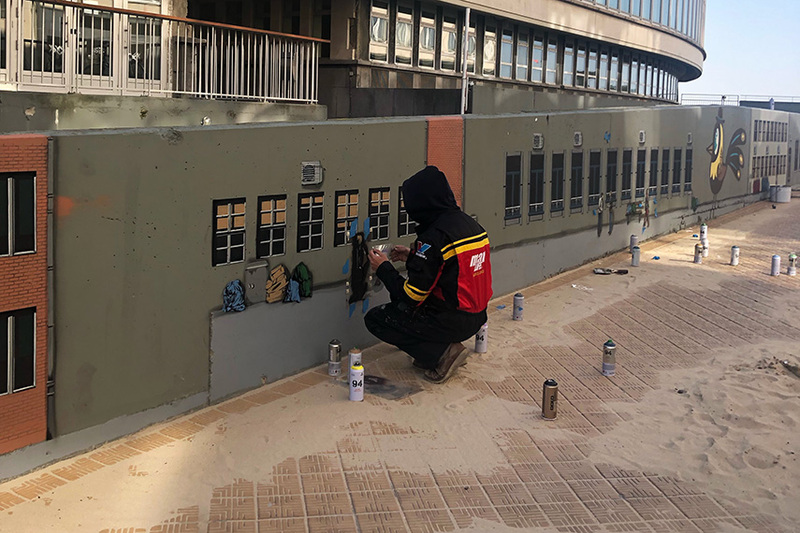 The sale of the decks, created in collaboration with the Push Skateboard Academy, will support building a skatepark in Banjul, Gambia. 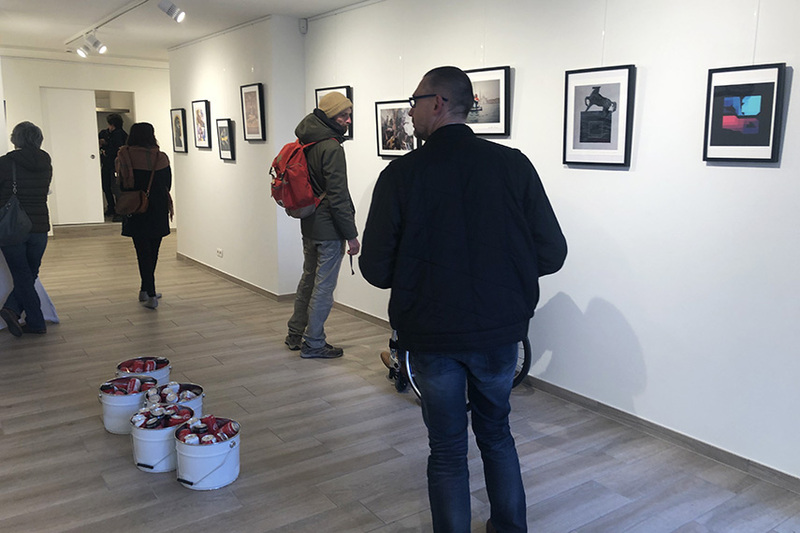 The exhibition will stay open until April 21, so make sure to stop by if you are around! All images taken by the author.